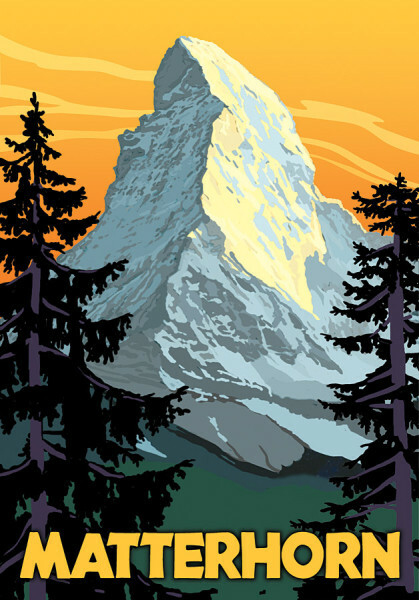 One of a series of famous mountains done for an initial book cover design. The book, Cold Feet, Stories of a Middling Climber, ended up with a very different cover. An amusing account of the author Dave Pagel and I managing to somehow climb this famous Swiss summit (and not via the easy Hoernli Ridge for any climbers out there) is one of the stories. Digital.